Permuy Gallery, established in 1978 is the only full service salon of it’s kind in North Bergen N.j. The three floor salon, complete with skylights and natural plants, boasts of a beautiful spa atmosphere. Now located at 27 12 Ponce de Leon Blvd. Coral Gables Florida 33134. A one-stop beauty oasis catering to the beauty needs of both women and men. William Permuy has been in the beauty industry for more than 40 year and Lucia L Permuy over 25 year. William, Cuba-born is a self- made business owner, as wells as master of the shears. As young teen in Cuba, Willy would cut his friends and family’s hair, using a very old pair of barber shears. Copying styles found in the dated fashion magazines, the only ones available at the time, Willy would create styles that were the envy of the neighbors. At the age of fourteen, he went to Spain, sharpening his skills even more so. Up to date, very much in vogue, fashion magazines were sold at every newsstand. Newer and better tools were available to. Several years later, Willy immigrated to united state and pursued his career. 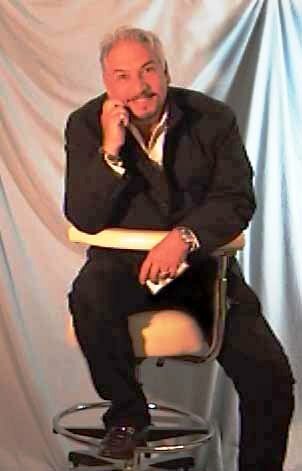 Having worked in Spain, Venezuela, New York, New Jersey and Florida, he has gained a large and loyal clientele that includes many celebrities from the Latin entertainment industry. Clients have come from as far as Florida, Pennsylvania, New York, Puerto Rico, Canada and South America to see WILLIAM. Even with his busy schedule as salon owner, stylist and founder of the “permuy hair collection” Willy also directs all events, function and “on location” jobs for the William Permuy Salon and staff. Strategically directing the team to provide hair and make-up services for television, music videos, concerts and theatre. An avid photographer, many of the photos displayed in the salon were taken by Willy. Several times a year, the salon hosts advanced hair cutting seminars and professional make-up classes for other salon professional. Sharing their knowledge and expertise, is extremely gratifying for the permuy team. William Permuy founder and administrator of William permuy salon. Lucia L Permuy the chemical service director. With a unique eye for color and sense of style the permuy team creates a spectrum of beautiful hair coloring effect for their client. Expert at make-up application for wedding parties, evening applications, natural and fantasy, William’s specialty is television, film, photography and theatrical make-up. His make-up brushes have enhanced many famous faces like Sonia Braga, Charytin, Gloria, Brenda K, El canario, Tito Nieves, Tito Puentes, Enrrique Grata and many more. William and Lucia Permuy and his team have always been involved in the community, from educational career day at local schools, fashion shows, cut-a-thon to benefits and fund –raiser for many charities and organizations. March 1999 was a very significant year for William permuy, when he launched his very own line of natural organic hair care products “the permuy hair collection”, internationally at the IBS (INTERNATIONAL BEAUTY SHOW), for the first time. Exhibiting their very fine line of products and demonstrating their talents. 1999 was also the year when Mr. William Permuy is nominated and then winner of one of the most prestigious award in the Latin Entertainment Industry. THE ACE aware (Asociacion de Cronistas de Espectaculos). This award is for the years of dedication and service for the entertainment industry. William Permuy has been the hair and make-up artist for the host and all celebrities at this dazzling gala for the past 10 year. Such famous faces as Tito Puentes, Edita Nasario, Mark Antony,Eri Estrada, Vikki Carr, Brenda K .Starr, Placido Domingo, Celia Cruz, Gloria Estefan, and countless more.